Come next Tuesday to Friday, the Housing and Development Board will host the International Housing Conference, an event to showcase and boast about the HDB’s achievements over the last 50 years. Titled, “Sustainable Housing : Charting New Frontiers”, more than 30 experts and speakers from all over the world have been invited to the conference. Undoubtedly, the HDB’s achievements are remarkable. It was awarded the United Nations Public Service Award in 2008. No one should begrudge it the accolades. Providing homes to a 5 million population in a land area of about 710.2 sq km is no mean feat. 50 years on, however, the HDB’s role is no longer that of just providing physical houses or flats. Its policies, especially in the context of an increasing number of foreigners, an ageing local population and the expanding income-gap, are under scrutiny. The issue is no longer one of making sure there are homes for everyone but one of whether Singaporeans are able to afford these homes, especially among the lower-income and the elderly. Despite the oft-repeated refrain that “HDB flats are still affordable” by government ministers, the fact is that an increasing number of home owners are defaulting on their mortgage loans. In November last year, Parliamentary Secretary for National Development, Mohamad Maliki Osman, revealed that there are 33,000 flat owners who were in arrears of three months or more. 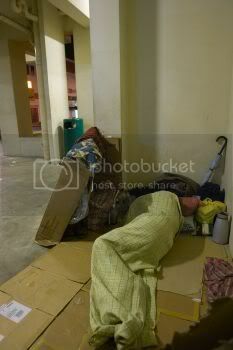 The number of homeless people sleeping in public areas such as the parks and void decks have also seen an increase. Perhaps the best evidence that HDB flats are being priced beyond those who are at the bottom end of the income scale is the long waiting period for public rental flats – which can be as long as two years – and the government’s recent announcement that it will be building more such rental flats the next three years. In total, when these are built, the number of public rental flats here will be 50,000. That could mean anywhere from 100,000 to 200,000 people who require these flats – and this is quite an astonishing figure. 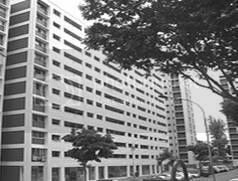 Mr Mah also revealed that there were 4,550 applicants for rental flats as of February 2009. Mdm Siti (not her real name) is one of those whose application for a rental flat has been denied by the HDB. Unable to service her bank loan, she had to sell off her flat. However, her flat fetched a lower price than when she bought it. She lost almost $50,000 in the sale, she tells The Online Citizen. With her children going through difficulties of their own and unable to take her in, she applied to the HDB for a rental flat. She was denied because under the HDB rules, having sold off her flat, she has to wait 30 months before she is eligible under the Public Rental Scheme. In the end, she had nowhere to go and ended up in a park. Mdm Siti’s predicament is not unique. An increasing number of home owners, unable to pay their loans, either have had their flats repossessed by the HDB or the banks, or were forced to sell them. A rental flat is their last chance for a roof over their heads. But with the waiting period for such flats a lengthy one, these people have no choice but to put up wherever they can. And this means public areas where some live for many months. Mr Mah, referring to those who no longer can afford buying their own flats, said “the family, not the Government, should be the first line of support for those in need.” While this may be desirable, often it is not a viable option, such as in the case of Mdm Siti whose children face problems themselves. One would argue that the government should indeed be the “first line of support for those in need”. After all, the HDB is the only public housing provider in Singapore. Where else can those in need go to, if their children or families cannot provide support? closely in tandem with the MND and the HDB. Otherwise, as in cases which TOC have come across, the homeless are burdened further by being placed in homes and treated like prisoners or are fined as much as S$500 for taking shelter in public areas. Some of these homeless families have children as young as three or four-years old. It is unconscionable that our children should be made to face the unpredictable Singapore weather in the open, especially during the cold, rainy seasons. So while the HDB trumpets its achievements to an international audience come next week, it must keep in mind that a growing population of those who can no longer afford its flats will be its biggest challenge going forward. The HDB must be more compassionate towards those who request for rental flats and it must be more aware of what is happening on the ground – Singaporeans who are affected adversely by its policies. Perhaps the HDB should reflect on its priority and its first responsibility – to provide truly affordable homes for Singaporeans – in this its 50th year. Indeed, sustainable housing is what Singaporeans are hoping for.